Recycle your used worn out soldering tip and get credit towards the purchase of new tips. Why just toss your old tips away in the garbage when you can save the environment and money!! For decades the Murray A. Percival Co. has offered our customers programs to recycle there solder dross, solder paste and solder paste scrap. 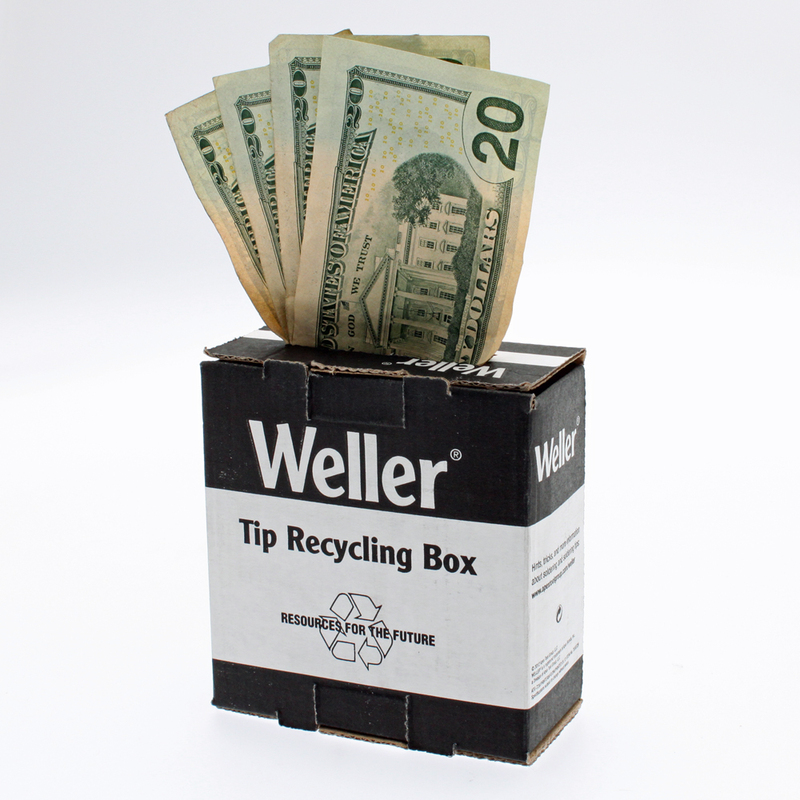 Now we bring you this original tip recycling program from our partner Weller Tools. By recycling the copper, iron and other metals used in manufacturing soldering tips you can do your part towards helping the environment and preserving its natural resources. Contact us to receive your free Tip Recycling Box to start saving today.